I'm the strong and silent type�'�|Blackjack is a large boy who is loyal protector of his family. He commands respect on the street while walking on a leash, but at home, he is your baby and perfectly happy to shower you with devotion. He is non-reactive to other dogs while out exploring with his owner on a leash. Very treat-motivated, he easily learns new commands. He is a strikingly handsome boy who needs a breed-savvy owner. 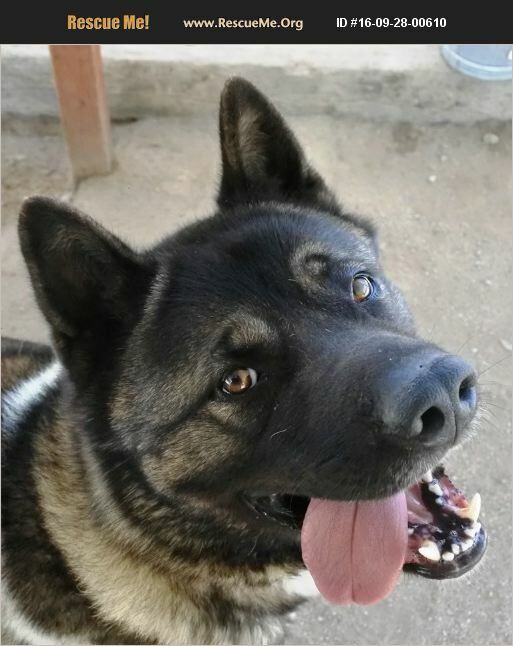 Meet him at #AkitaRanch 28930 Ellis Ave, Romoland, CA (open 10-5 7days) or email apassionforpaws@gmail.com for adoption information..